What do you do when you’re trying to differentiate a product like Ouzo, which has become a typical ‘souvenir gift’ when people visit Greece? If you are Dolphins Communication Design from Greece, you take inspiration from old Greek vases and update your packaging with desirable graphics which go so far beyond the typical clear glass bottles of Ouzo we’ve all seen a hundred times. They’re eye-catching, the designs are great and most of all they are something you can be proud to give a loved one after a visit to Greece. A great example of how design can take a product and make it entirely more desirable. For more work from Dolphins Communication Design, check out their website here. This entry was posted in Design, Illustration and tagged Greece, Liquor, Ouzo, Package Design on June 30, 2014 by stellenboschacademy. We’ve seen superhero posters and superhero re-imaginings quite a few times in the last while, but we really do appreciate these watercolour versions by Blule. Her attention to detail in a medium which is difficult to work in at best, is amazing. Blule is the alter-ego of Clementine, a French illustrator who specialises in watercolours, but studied as an industrial designer. Learn more about her on her website over here. This entry was posted in Illustration and tagged Blule, Illustration, Superheroes on June 27, 2014 by stellenboschacademy. We love this campaign ‘Better By Bike’ for Buenos Aires. Designed by La Comunidad, it shows the benefits of biking, with a great, simplified aesthetic. For more of La Comunidad’s work, check out their website here. This entry was posted in Design, Illustration and tagged Better By Bike, Buenos Aires, Design, Illustration on June 25, 2014 by stellenboschacademy. Darran Rees is a British commercial photographer who has photographed a number of big brands and worked with a number of big agencies. Today, we’re sharing some of his more personal work. These are from a trip to Africa. We love the honest way his subjects are captured and the way these images straddle the line between portraiture and documentary photography. To see more of Rees’s amazing work, have a look at his website over here. This entry was posted in Photography and tagged Africa, Darran Rees, photography on June 23, 2014 by stellenboschacademy. As you may expect, we go a bit crazy for typography and lettering at the Academy. It’s kind of our thing. We were so happy to find this collection of typography and lettering that we had to share it. The collection is constantly being updated through the instagram feed and for those of you with accounts, we do suggest you follow it! You can find the instagram account for NYC Type here. This entry was posted in Design and tagged Design, New York, Typography on June 20, 2014 by stellenboschacademy. Jess Whitehead is a South African digital artist who specialises in Photo-Illustration, Digital art, Typography and Design. We love her abstract style and painterly aesthetic. Check out more of her work on her website over here. 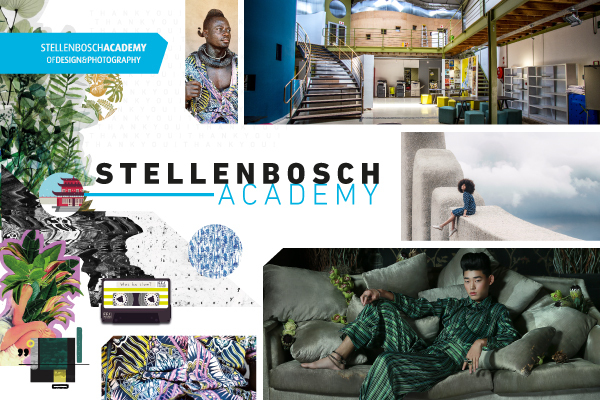 This entry was posted in Art Direction, Illustration and tagged Art Direction, Illustration, Jess Whitehead on June 18, 2014 by stellenboschacademy. The Album Cover Cover project by Bruno Lee Ribeiro is a simple, yet great exercise. He puts on an album and then tries to design a new cover for it before the album is over. While this is easier said than done, it’s great to see how ideas can come to fruition so quickly. Amazing work! Check out more of the Album Cover Cover project here. Check out more of Bruno Lee Riberio’s work here. And to get an idea of what goes into one of these designs, check out the YouTube video below. This entry was posted in Design, Illustration and tagged Album Cover, Design, Illustration on June 16, 2014 by stellenboschacademy.